Spring has sprung! (Although it currently doesn't seem like it), And with a change in season comes a change in appearance. A more dewy, fresh, natural look. With it being the Easter holiday, that ironically means more early mornings because of work! So I've perfected my make up which takes literally no time at all to complete. This is the most important part of the whole routine. Because, the eyes and lips are fairly low key, the base needs to be full coverage. To do this I mix together Lancome 24 hour and Creme de La Mer . 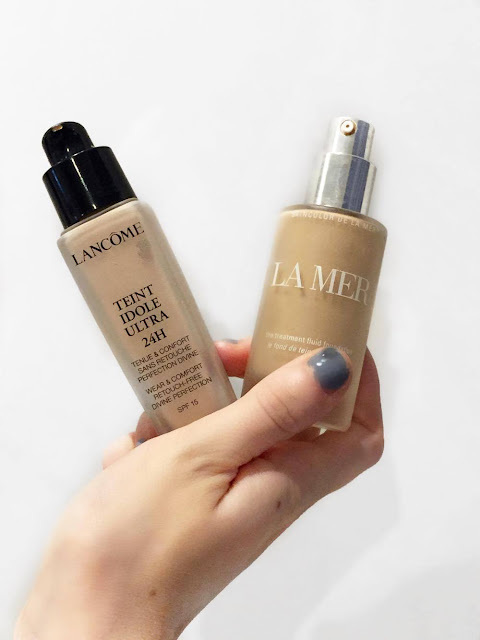 Mixing is completely optional, the La Mer is just a little to dark for me and although I'm after a glow I don't want to be a different shade to the rest of my body. To apply this I just buff it all in with my Bobbi Brown full coverage brush. Concealing of course has to be the Rimmel wake me up. 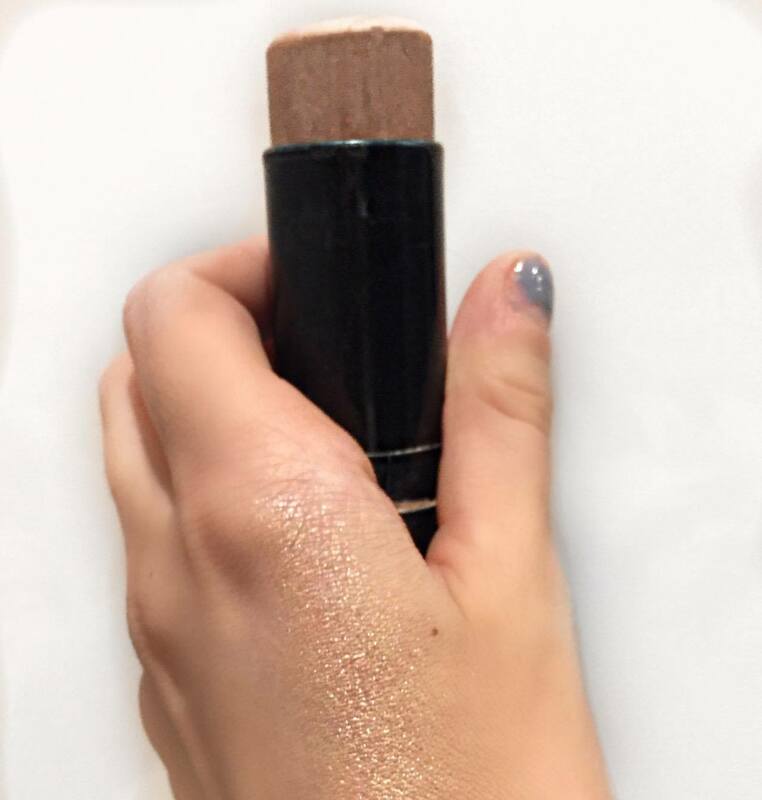 The spring Staple concealer. I apply this all under my eyes, and just in the areas I want a bit of brightening. I'm not using this as a highlight as I'll be going in with Nars Cococobana 3 in 1 stick. This is my favourite product for highlighting and always has been- Way before strobing was even a thing. I apply this on the apples of my cheeks as well as my cheeks bones, bridge of nose and upper lip. So by now I'm looking like a piece of tin foil. 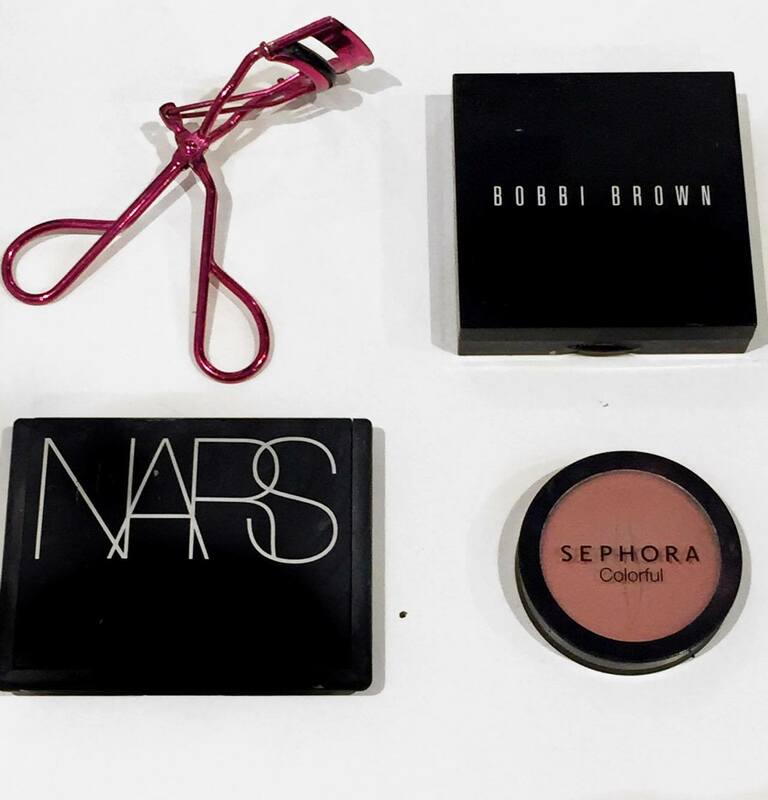 To matify my skin, I use the bobbi brown powder and apply generously in areas which I haven't applied the highlight. On the apples of my cheeks, I'm using sephora in dusty rose. I apply this generously to the apples of my cheeks and slightly over the highlight. To contour I use Nars Laguna bronzer and swish the brush gently so it just catches underneath my cheekbones and blends into my highlight and blush. I'm over this 'sharp' contour look now, I just think it's unnecessary for an everyday look. For my brows I simply just fill in with my soap and glory arch brow (it's a life saver) and set with Loreal brow gel. My eyes then are just very simple. I curl them, and hold that curl for a while, and then just apply loads of Loreal Telescopic mascara. Because I'm not using eyeliner I need my lashes to be very black, so I can't be afraid to just layer and layer mascara until my eyes are bold enough. And finally the lip. I've wrote about this combo before, but it's Mac lipstick please me with the lip liner Mac Soar. These create a really pretty, girly look- just perfect for this time of year, it completely pulls the looks together too! I hope you liked this post, I feel like it could've been better as a video but it's so simple I'm not sure if it was necessary! Have you tried any of the products mentioned? 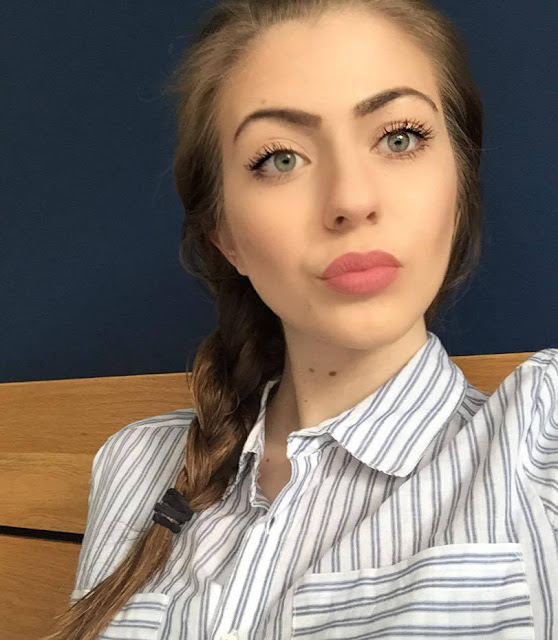 I really love your lip colour, such a nice shade for spring/summer! I love the colour on your lips! Turns out I have soar too (sidenote - isn't it just the most beautiful lip pencil??? ), I may need to take a look at Please Me too. I currently use it on it's own or under Charlotte Tilbury's Very Victoria lipstick - that's also a killer combo!